small coastal retreat owned by the Lomax family for over 50 years. 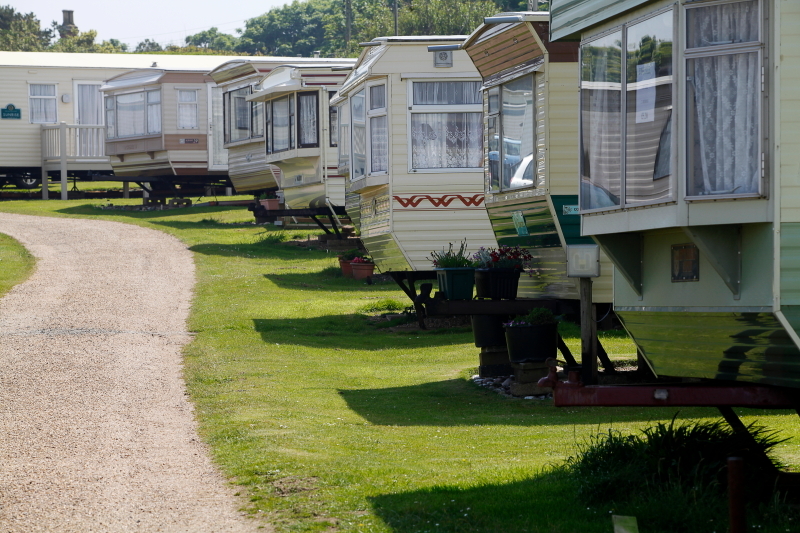 There are 130 privately owned static caravans, plus an adjoining field for camping and touring caravans. We welcome many of our visitors back year after year, and look forward to welcoming you very soon. Picturesque large camping field divided into two parks Church View and Lighthouse View. The site benefits from 66 16-amp electrical hook-ups with water. 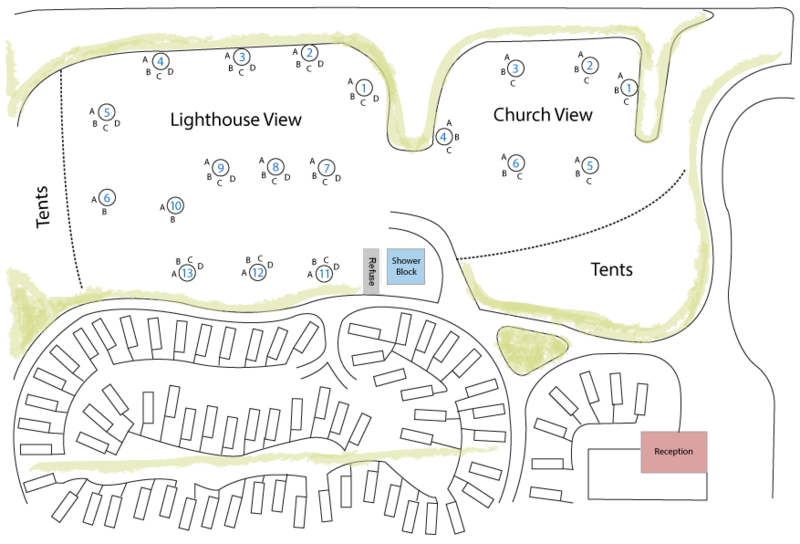 An Elsan point is available for waste disposal and sinks with hot water are situated on the camping field. Excellent spacious brand new shower block with separate male and female showers/toilets and one accessible shower/toilet with baby changing facilities. 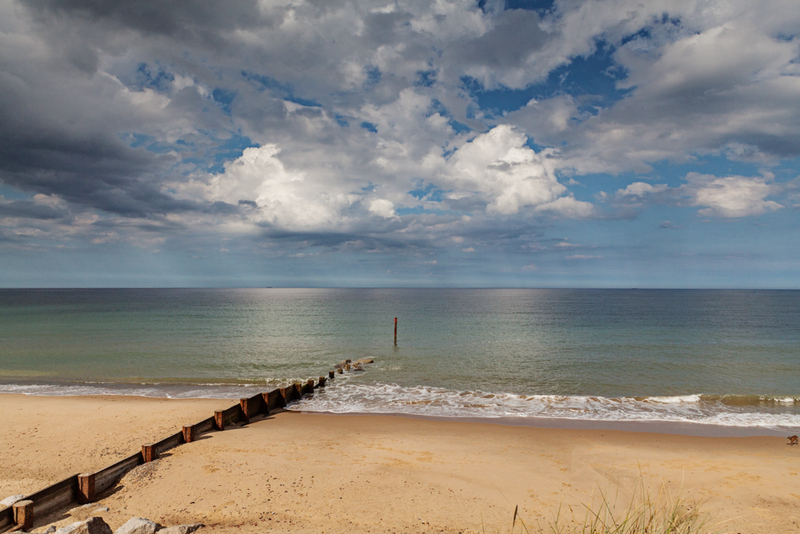 The North Norfolk area is great for coastal walks and rambling through the countryside, or just relaxing on the beach. There are also numerous places to visit and things to do within a short drive: Sailing or Motoring on the Norfolk Broads; National Trust Properties and Open Gardens; Seal Trips; Cromer and Sheringham Piers; Great Yarmouth Pleasure Beach and the Golden Mile; Weybourne Tank and Military Museum and so much more to see and do for all the family. 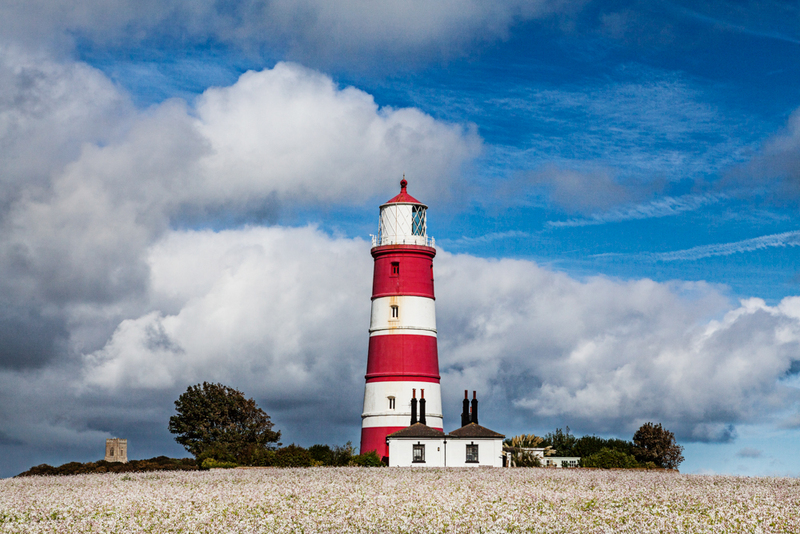 The park is situated in the heart of Happisburgh village, sitting under the shadow of the medieval church and famous candy striped lighthouse. The local shop, post office, coffee shop and pub (The Hill House) are all within a 2 minute walk, and there are many local events to participate in, like the annual beer festival. The lovely sandy beach is accessible within a 10 minute walk of the campsite: a great place to relax, swim, play and walk….. or maybe even fish for your supper! Standing on a hill overlooking the village to the south and the sea to the north, is the 15th century church of St Mary. On various dates throughout the summer you can climb the 155 steps in the 110ft tower for spectacular views of the countryside and coastline. Details are on the village website. Bathing has been popular on Happisburgh beach since Victorian times, but today it is quieter than neighbouring resorts, making it the perfect place to relax. It’s popular for fishing or taking a stroll and if you’re lucky, you may see a seal popping his head out of the water near the shore. This nearby little seaside town is home to the North Norfolk Railway, which runs short steam train journeys on most days throughout the summer. Details of fares and timetables are on their website. It is also home to Sheringham Little Theatre which hosts a variety of events.